KINGSPORT, TN – The Kingsport Farmers Market will hold its 1st Annual Fall Festival on October 20, 2018, 8 a.m. to 12 p.m. at the Kingsport Farmers Market. Along with your favorite vendors, we will be celebrating the fall harvest with live music, kids’ activities and more. Food City will have their smoker on site, and they will also be sponsoring a caramel apple bar where you can create your own flavor combinations while supplies last. Come check out the sculpted pumpkins on display from Bortz Graphics and learn carving techniques for your own pumpkins as they conduct demonstrations! Don’t forget to bring your own carved or decorated pumpkin to enter in our contest! As we think of fall and setting back our clocks, we should also think about checking our smoke detectors. Keep Kingsport Beautiful and the Kingsport Fire Department will be at the Fall Festival from 9 a.m. to 12 p.m. distributing smoke alarm batteries to Kingsport citizens, which are provided by the 2018 Duracell/Keep America Beautiful 9V Battery Grant Program. For more information on the 1st Annual Fall Festival, contact Kristie Leonard at 423-224-2821. 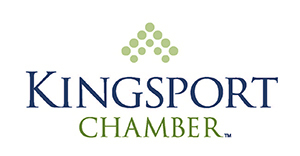 For more information on the Kingsport Farmers Market, or to sign up for our monthly newsletter, please visit kingsportfarmersmarket.org.